With the support of her dedicated team, Dr Joanna Teh provides non-surgical cheek fillers to clients from across Perth. 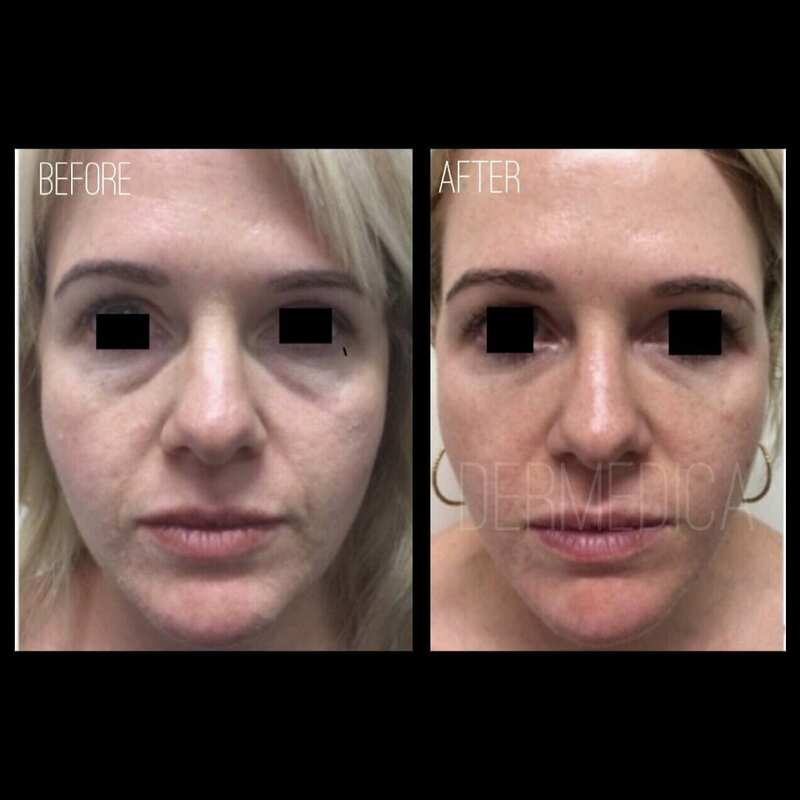 This treatment is the most popular non-surgical cosmetic treatment for restoring the contours of your face and effectively used around the world. While individual results may vary, you can rest assured you are in highly experienced and very caring hands throughout your treatment. One of the signs of beauty is having a smooth facial contour and a balanced facial proportion. As we start to age, we lose the youthful facial contours due to the volume loss in our cheeks. 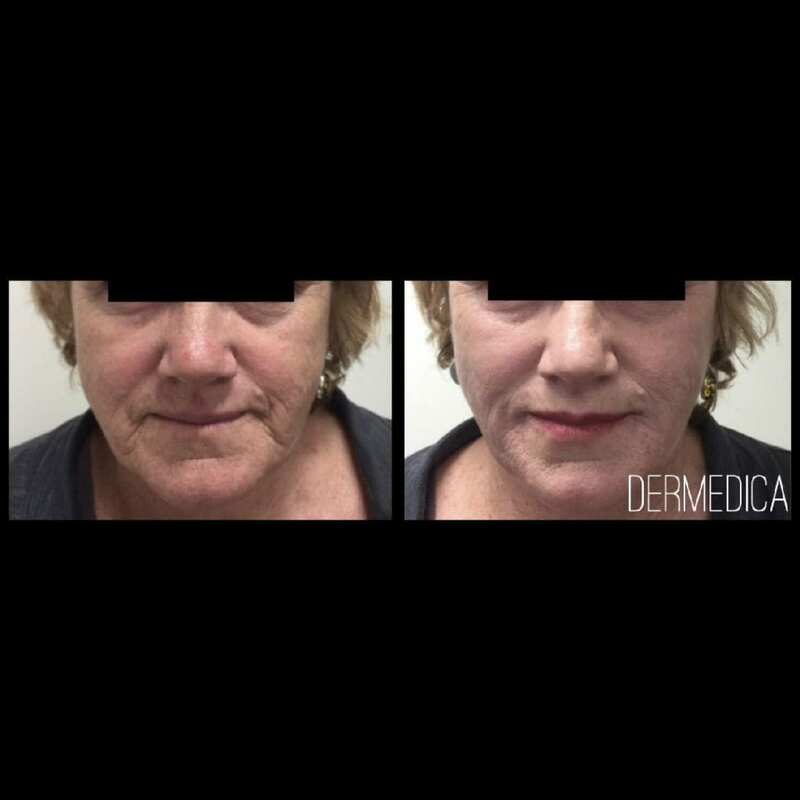 This can also contribute to the deepening of the nasolabial folds, jowls and marionette lines.To look more youthful, a good option would be to therefore add volume to the cheeks or mid face area. This can enhance your natural beauty and restore the natural shape of your cheeks. Your cheek filler treatment can be administered in a short amount of time, meaning you can quickly go back to your daily routine.To ensure your recovery is quick and hassle-free, Dr. Teh and her team will be available to assist you after your cheek enhancement treatment if needed.If you are ready to feel more youthful and step out with confidence, book a consultation today. How long do cheek enhancements last? Is cheek filler treatment painful? How do I know if cheek enhancement is right for me? What age group are cheek enhancements suitable for? Will it be obvious that I have had a cheek enhancement? How much do cheek enhancements cost? Who will perform my cheek enhancement? The dermal fillers used in cheek filling procedures are biocompatible and made from a naturally occurring substance in our skin, known as hyaluronic acid. Dermal fillers help to strengthen and restore the integrity of our skin and have been technologically improved to integrate into the appropriate levels of skin better, and to last longer. Dermal fillers or wrinkle fillers can fill individual wrinkles and restore volume or revolumised areas of your face that is sagging. These products can instantly lift and repair wrinkles, correct skin depressions or reverse volume loss. Sometimes a combination of wrinkle relaxer and dermal fillers are used to provide an optimal result in the cheek enhancement process. Cheek Enhancement is a procedure otherwise known as Cheek Filler. 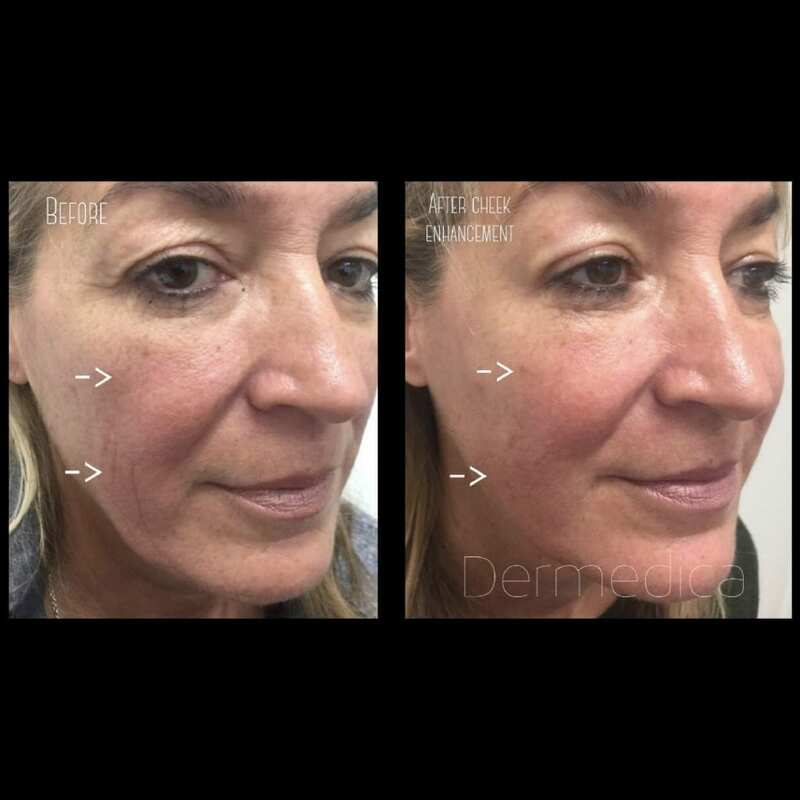 It is a non-invasive, non-surgical technique of re-volumising the cheeks. 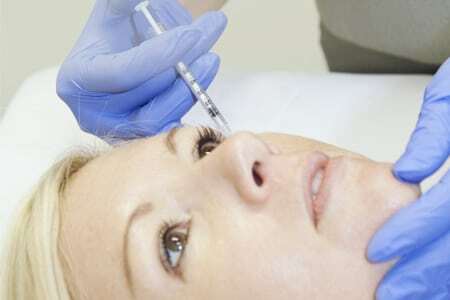 Before any filler is administered, Dr. Teh will assess clients personally to discuss filler choices, talk through potential risks and explain the recovery period and dermal filler cost. Using a licensed filler specially formulated to lift the cheek area, Dr. Teh will administer the filler into the correct plane in the skin, softening the nasolabial folds and reducing the sagging of the jowls. The overall result looks like an instant facelift. Depending on the amount of fillers administered, the type of fillers used,the quality of your skin and the metabolism of the fillers in your skin, your cheek enhancement will last anywhere from 6 to 24 months. During your thorough consultation with Dr. Teh, your full face will be assessed to ensure you receive the desired outcome. Individual results and duration of effects will vary, which is why it is important to first have a detailed discussion with Dr. Teh before you decide to undertake cheek enhancement. Most cheek enhancement fillers contain local anaesthetic so the procedure can be relatively pain-free. Dr Teh prides herself on her experience with administering fillers with a gentle hand and will therefore ensure your treatment is comfortable. There are no serious complications documented with non-surgical cheek enhancement. Because it is non-invasive, the side effects are less than a surgical face lift. Our clinic aims to maintain our low rate of incidence of side effects and Dr. Teh’s experience means she takes extra precautions in her technique to minimise risks. As with any medical procedures though, a cheek enhancement carries potential temporary side effects such as mild redness, swelling and bruising. An in-depth discussion with Dr. Teh is vital to assess all potential risks and clarify the rare risk of side effects before undertaking the treatment. Most of our patients have virtually no downtime and can go back to work or daily routine after their cheek enhancement treatment. However, individual experiences can vary depending on your skin type, medications being taken or aftercare. To ensure your recovery is quick and hassle-free, Dr. Teh and her team will be available to assist you after your cheek enhancement treatment if needed. As people age, some people may lose volume in their cheeks. Stand in front of the mirror. 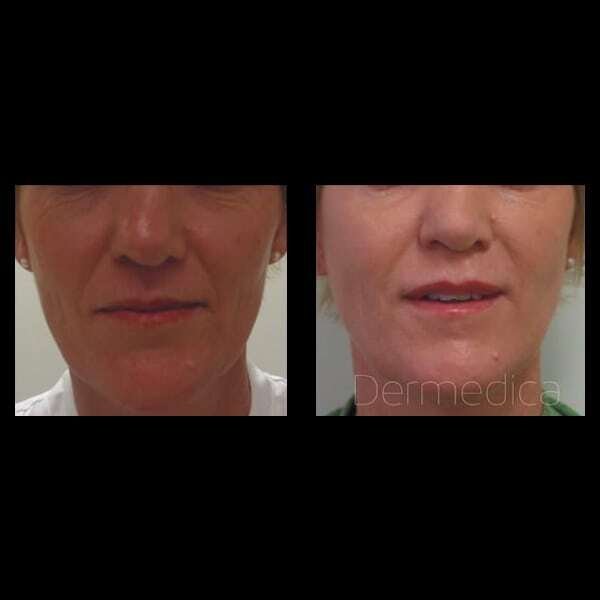 Check if you have a deepening nasolabial line (the fold from the corner of your nostril to the corner of your mouth) and deepening marionette lines/jowls (the line from the corner of your mouth to the jawline). Now look at your cheeks. Are your cheeks losing its fullness? If you feel as though your looks could be refreshed, contact our office for a consultation. A set of high cheekbones and full cheeks with a visually proportionate facial contour is something all women (and men!) aspire towards. If you would like to enhance your features and cheekbones to get contours worthy of Kim Kardashian, Dr. Teh will help you achieve a natural result while making sure you still look like you. The key to a successful enhancement is to have people notice you look less tired and more rejuvenated, but not be able to pinpoint exactly why. This is what Dr. Teh aims to deliver; selecting the right fillers for the right areas so the results are natural, subtle and makes you look like a better version of yourself. This treatment starts from $499, depending on the volume required, the type of fillers used and the skin type. Speak to Dr. Teh or book a consultation to get a thorough treatment plan worked out based on your needs. We are a boutique cosmetic clinic that specialises in personalised solutions for our patients seeking non-surgical treatments. Dr. Teh personally sees to all consultations and treatments to ensure patients will achieve their desired results. It is important that the doctor doing your treatment is experienced and fully qualified. Dr. Teh has 18 years of experience and has not had any major complications arising from administering fillers or treatments.